Impurities such as copper, tin, zinc are included in a steel scrap. It is needed to remove these impurities when the steel scraps are recycled, since the elements are harmful for mechanical characteristic and workability of some steels. However, copper cannot be removed by a traditional smelting by oxidation. In this study, it is investigated to remove copper from steel by using iodine. 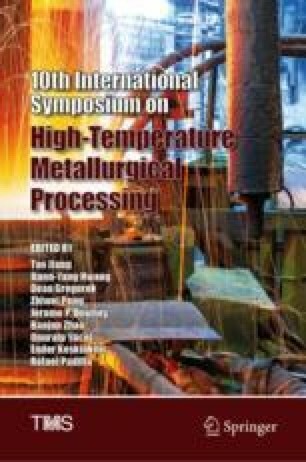 Iodine was added to molten Fe–Cu alloy at high temperature, Copper iodide (CuI2) gas was formed, and the copper content in the alloy decreased. By this method, the copper in the alloy can be removed to gaseous phase easily. The relationships between removal rate of copper and experimental conditions, such as temperature, mass of iodine, and so on, were investigated.